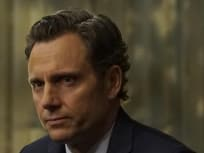 On Scandal Season 6 Episode 16, Fitz decides to use his power to make some surprising changes during his final days as the President of the United States. 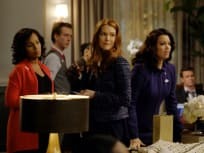 On Scandal Season 6 Episode 15, Olivia must take a big risk in order to protect Mellie as she comes closer to becoming the first female President. On Scandal Season 6 Episode 14, Jake figures out what motivated Peus, while the Gladiators question what’s next for OPA and Fitz looks towards his future. On Scandal Season 6 Episode 13, Peus plants 9 bombs across America after Olivia takes Mystery Woman into custody, but what happened? 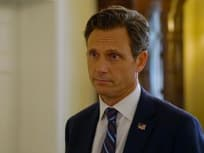 On Scandal Season 6 Episode 12. a shocking threat to the White House turns everything upisde down, as Peus seems to have a strangle hold on Olivia. On Scandal Season 6 Episode 11, the team went to extremes to take down Peus, but who stood in their way? 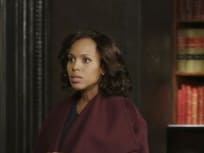 On Scandal Season 6 Episode 10, Olivia looks to the past and the future when the truth behind Frankie Vargas' assassination is finally revealed. 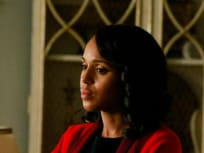 On Scandal Season 6 Episode 9, Olivia and OPA’s investigate the conspiracy in a race against the clock that puts one of their own in grave danger. On Scandal SEason 6 Episode 8, Abby reveals her perspective on the events that occurred on election night, and an explosive secret is revealed. 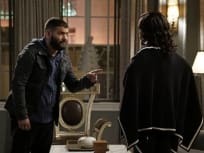 On Scandal Season 6 Episode 7, Olivia asks Huck to complete one of his most difficult missions to date, when she comes to a shocking conclussion. 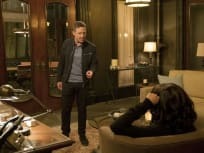 On Scandal Season 6 Episode 6, the spotlight is on Francisco Vargas' assassination, and Olivia must make a crucial decision regarding the campaign. 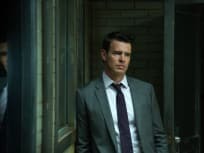 On Scandal Season 6 Episode 5, a shocking secret about the Vargas assassination comes out, while Liv tries to deal with Jake and Vanessa's chaotic relationship. 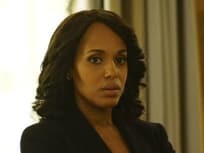 On Scandal Season 6 Episode 4, as Cyrus continues to swear that he's innocent, Olivia and the Gladiators uncover new information about Frankie's murder. 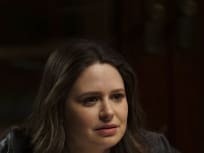 On Scandal Season 6 Episode 3, Olivia will be made public enemy number one when Cyrus calls her out for framing her, but will Olivia dial it back? On Scandal Season 6 Episode 1, the results of the election pitting Mellie Grant against Francisco Vargas are announced, leading to a shocking outcome. You know. Of course you know… unbelievable. Permalink: You know. Of course you know… unbelievable. Fitz: He isn’t dead until I say he’s dead. Permalink: He isn’t dead until I say he’s dead. Scandal Round Table: Is Olivia Evil?!? Scandal Promo: Will 9 Bombs Detonate Across America?!? Scandal Promo: Is Huck Dead?!? Scandal Promo: Is Cyrus Being Set Up?